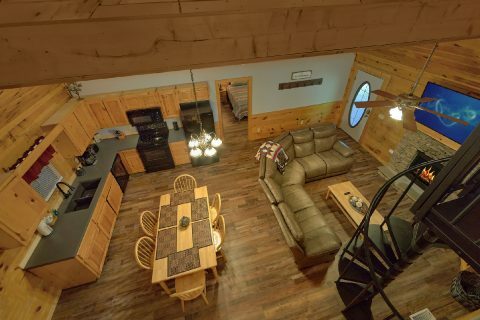 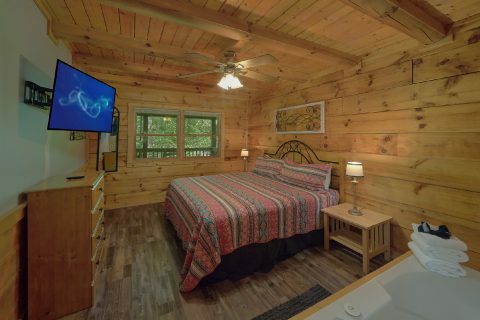 Located just off of Wears Valley Road in the Smoky Mountains, you'll find "Absolute Heaven," a 2 bedroom cabin with a great location in Sevierville, TN. 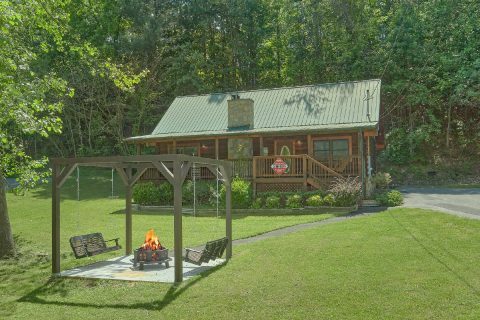 Not only does this affordable rental boast a prime location that's less than 3 miles from the action-packed Pigeon Forge Parkway, but it also boasts a peaceful spot nestled in a lovely forested setting. 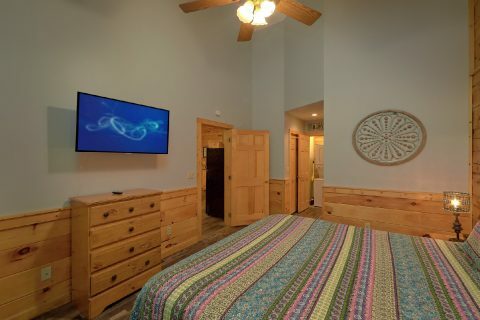 With excellent destinations like The Island, Dollywood, or the Coaster at Goats on the Roof only a short drive away, you'll have plenty to see and do during your vacation. 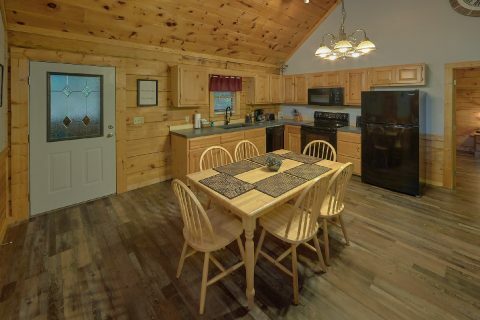 Additionally, by driving towards Wears Valley, you can even access the Great Smoky Mountains National Park with the convenient Wears Cove Gap Road entrance. 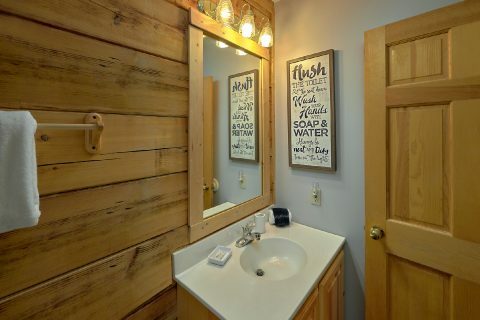 As a result, it's easy to explore beautiful sights like Cades Cove and The Sinks Waterfall during your trip. 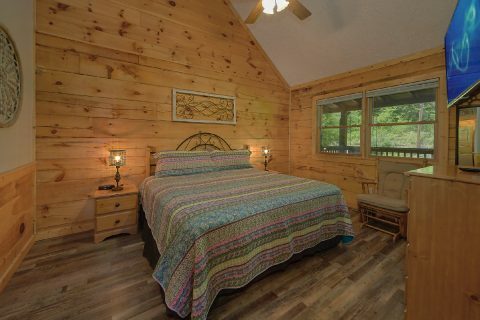 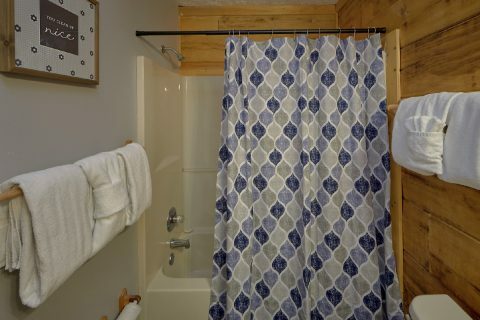 As soon as you step inside your one-level cabin in the Smokies, you'll be glad you reserved such a comfortable space for your stay. 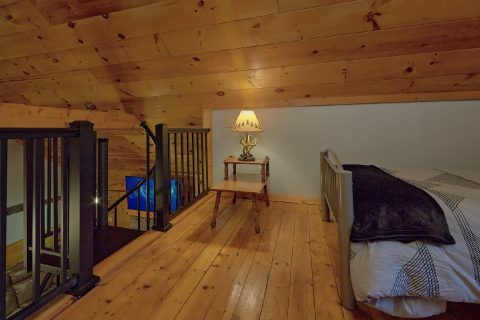 The inviting main living room comes complete with a gas fireplace and a flat-screen television so you can enjoy a nice movie night during your stay. 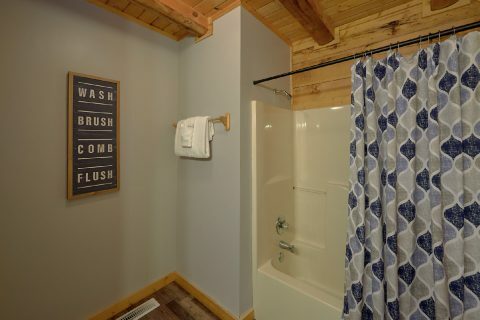 For relaxing in the fresh mountain air, simply step outside onto your cabin's deck to take a dip in the bubbly waters of your cabin's hot tub. 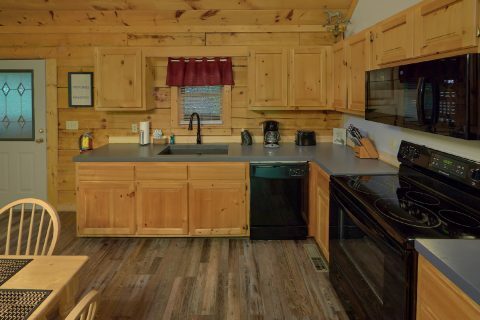 "Absolute Heaven" also features practical amenities like a full kitchen, a charcoal grill, and a washer & dryer for you to use during your stay. 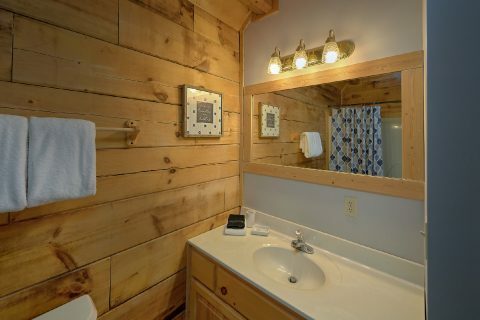 Additionally, this cabin provides plenty of level, paved parking for guests. 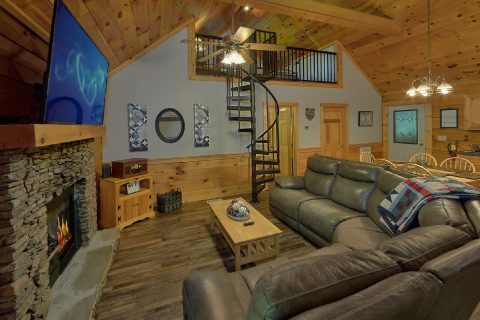 With 2 king-size bedrooms with private televisions and a sleeper sofa in the living room, this Sevierville cabin sleeps up to 6 guests in comfort. 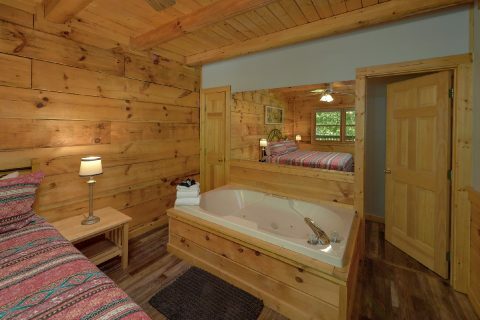 One of the bedrooms even boasts a private jacuzzi tub for you to enjoy during your getaway. 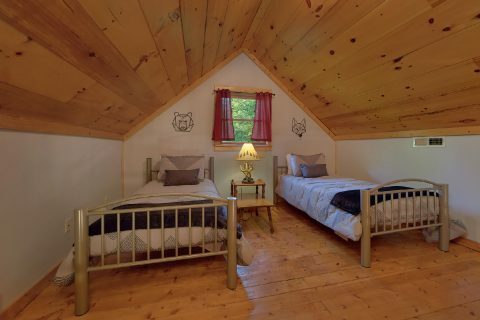 Best of all, you can reserve this 2 bedroom cabin with our special 15% discount for your nightly rate! 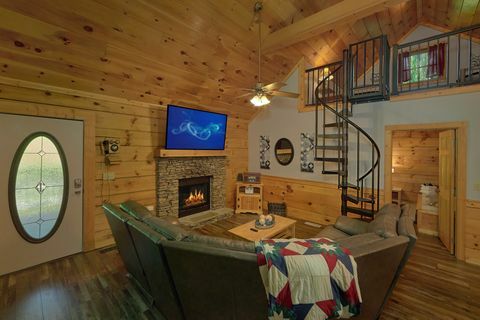 Book "Absolute Heaven" today & save on your lodging in the Great Smoky Mountains!